an equal opportunity to be loved. Last week it was reported the Ontario Society for the Prevention of Cruelty to Animals (OSPCA) put forth a court application to destroy 21 "Pit Bull" type dogs it seized last October. A public outcry ensued, much as it did nearly 6 years ago when the OSPCA announced plans to kill all the animals at its headquarters due to a virulent strain of ringworm (after a review was released nearly one year later it was discovered there never was such a ringworm strain, and the OSPCA had needlessly killed over 100 dogs). "Newmarket, ON (February 19, 2016) - The Ontario SPCA has received inquiries on the assessment process of the dog fighting dogs in our care. The Society would like to clarify some misinformation; the breed of the animals is not a factor in the assessment. The information gathered is focused on the behavior of the animal. The dogs are not legally owned by the Ontario SPCA and as such, the Society does not have the jurisdiction to relocate the animals. All of our rehabilitation work and assessments with these fighting dogs, by law, must be done in our care. As mentioned in an earlier statement, euthanasia is always a last resort. The Society continues to work with each animal individually to assess the needs of the animal including bringing in experts in dog fighting behavior rehabilitation. For this case, the Society reached out to the ASPCA Anti-Cruelty Behavior Team to provide their expertise. 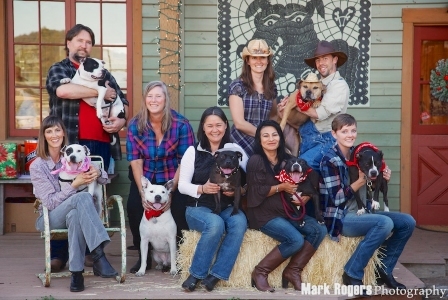 This highly trained team has been involved in some of the largest dog fighting cases in North America. The Society’s assessments and rehabilitation of the dogs continue as the animals remain in our care. The goal of the Society is always to try to rehabilitate and rehome the animals when we are able, this includes adoptable Pit Bull-type dogs. We will continue to focus on this goal as this investigation continues." People began asking even more questions. If the dogs are not legally owned by the OSPCA, what right does the organization have to kill them? If the key is rehabilitation, why won't the OSPCA welcome countless offers to accept help? If the investigation is ongoing, why the rush to the court to apply to kill these dogs? Why did the OSPCA already kill three of the dogs? With each question posed on the OSPCA's Facebook page, the organization simply responded by copying and pasting the above statement. Meanwhile, lawyers have lined up to speak on behalf of the dogs, and the OSPCA's application will go before the court on March 10. On Saturday protesters gathered outside the OSPCA's headquarters in Newmarket. An online petition has garnered more than 50 000 signatures. Here is where the OSPCA is being its usual hypocritical, cherry picking self. For some reason the organization doesn't feel it's worth it to spend the money and time on rehabilitating these dogs yet as this case proceeds, the OSPCA is currently still holding 70 dogs it seized from a rescue last July. These dogs have been in cages for nearly 8 months while the seizure has been appealed by the rescue. So why, if the OSPCA has no problem holding on to these 70 dogs is the organization in such a rush to kill the ones seized from the dog fighting operation? As usual, it seems it all comes down to money. When it comes to the dogs seized from the rescue, the OSPCA refuses to hand them back until it receives over $400 000 (and rising) in compensation. If all else fails the OSPCA can adopt out these rescued dogs. As for the dogs seized from the disgusting criminals who used them to fight for profit? It seems the OSPCA realizes it will never see a penny from these criminals, and the dogs can't legally be adopted out in Ontario. It is truly wonderful to see thousands of animal advocates from across North America galvanized, refusing to see these poor souls as expendable. If only the organization empowered by the provincial government of Ontario to prevent animal cruelty would see them with the same eyes.